The Russian air campaign in Syria, which started two years ago, has dramatically changed the course of war in the country, Turkish military expert Dr. Celalettin Yavuz said, emphasizing the role of the Astana talks launched by Moscow, Ankara and Tehran and the creation of four de-escalation zones in the country. 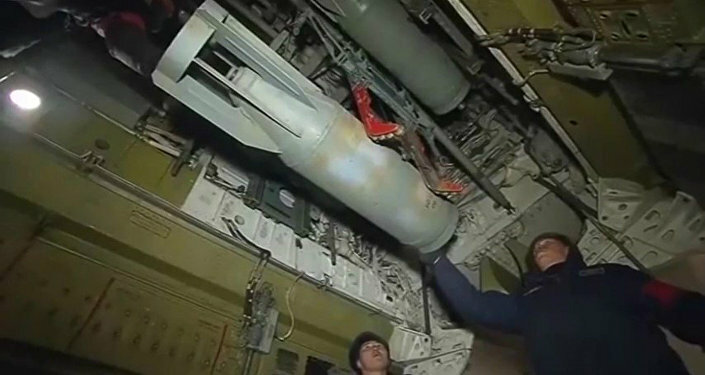 The military operation launched by Russian Aerospace Forces on September 30, 2015, became a sort of life buoy for the Syrian government forces, which gave them a second wind in the fight against terrorism, Turkish military expert Dr. Celalettin Yavuz, a former foreign policy and security advisor to the head of the Nationalist Movement Party (MHP), told Sputnik. In the course of the Russia's two-year aerial campaign in Syria about 87.4 percent of Syrian territory has been liberated with 2,237 residential areas joining the cease-fire regime. The Russian Air Force conducted 30,000 combat sorties in Syria destroying 96,000 terrorist targets. "On the eve of Russia's antiterrorist operation, Syrian government forces were literally pressed to the coastal line between Latakia and Damascus, while the Assad government controlled only Damascus," Yavuz recalled speaking to Sputnik Turkey. "At that time the threat of the Syrian state being divided into four parts was looming, with just the territories of Damascus and the coastal zone remaining under the control of the government." However, due to the operation kicked off by the Russia Aerospace Forces and Navy the situation has changed dramatically, the expert pointed out. After Russia entered Syria, the Syrian Arab Army (SAA) began gradually strengthening its positions and making progress on the ground. 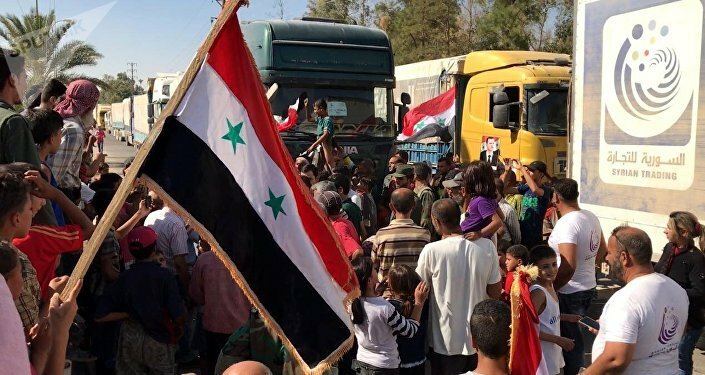 "Russia's military assistance to Syria, the arrival of qualified military advisers and specialists, as well as military aid to the Syrian government from Iran played an important role in this process," Yavuz noted, and added: "These have lifted the Syrian government forces' spirits." Commenting on the threat of Syria's dismemberment posed by the Kurdish independence movement in Syria and Iraq, the expert surmised that Syrian President Bashar al-Assad wouldn't allow the formation of a new sovereign entity on the territory of the country. "The territorial integrity of Syria is a fundamental factor," he said, highlighting that Russia played a very important and decisive role in protecting the unity and sovereignty of the country. The expert also emphasized Russia's diplomatic efforts aimed at a peaceful resolution of the conflict. According to Yavuz, the Astana format, kicked off in December 2016 in Kazakhstan's capital by Russia, Turkey and Iran, brought together warring parties to the negotiating table and emerged as one of the major platforms for talks on the settlement of the conflict. "In contrast to constantly 'skidding' Geneva talks, the Astana [peace] process has turned into an important instrument for the restoration of the Syrian state, which will follow the [upcoming] ultimate victory over Daesh [ISIS/ISIL]," he said. The expert also emphasized that due to the effective interaction between Russia, Turkey and Iran, the Astana negotiations resulted in the creation of four de-escalation zones in Syria: in the south along the border with Jordan, in Eastern Ghouta and to the north of Homs, and in Idlib. The memorandum on the establishment of four de-escalation zones in war-torn Syria was signed during the fourth Syrian settlement talks in Kazakhstan's capital of Astana in May, with Russia, Iran and Turkey acting as the guarantors of the cease-fire. On September 15, the guarantor states of the Syrian cease-fire regime finally agreed on the creation of a safe zone in Idlib — an issue that had long been hanging in the balance due to the fact that the region remains under the control of jihadists. The Astana statement read that the guarantor states "emphasize again that the creation of the de-escalation areas and security zones is a temporary measure the duration of which will initially be six months and will be automatically extended on the basis of consensus of the Guarantors." Commenting on the Astana format efforts to create de-escalation zones in Syria, Russian President Vladimir Putin called it the "mutual success" that paves the way to the end of the civil war in the country. "I believe these agreements are our mutual and extremely important success," Putin stressed during his recent official visit to Ankara. After retaking Palmyra and Aleppo from terrorists, the Russian Aerospace Forces assisted the SAA in the liberation of Deir ez-Zor. On September 5 the Syrian government forces managed to break the three-year-long siege and started expelling terrorists out of the region. 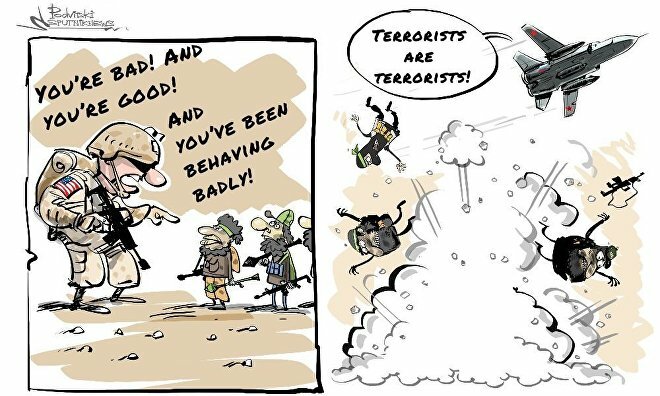 Meanwhile, the restoration of peace and order in the Idlib province remains high on the SAA agenda.